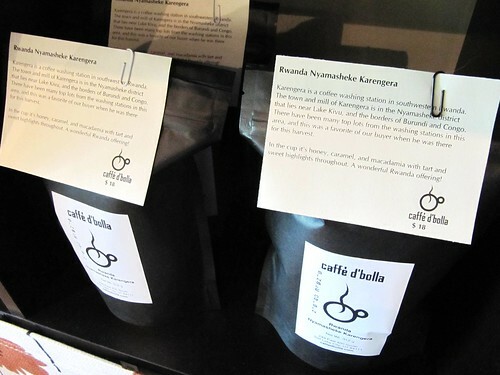 First batch at caffe d’bolla: Rwanda Nyamasheke Karengera. Karengera is a coffee washing station in southwestern Rwanda. The town and mill of Karengera is in the Nyamasheke district that lies near Lake Kivu, and the borders of Burundi and Congo. There have been many top lots from the washing stations in this area, and this was a favorite of our buyer when he was there for this harvest. In the cup it’s honey, caramel, and macadamia with tart and sweet highlights throughout. A wonderful Rwanda offering!